San Diego, February 25, 2018. Key Housing, a top-rated service for locating and booking San Diego serviced apartments, is proud to announce a new page revision. The newly revised page focuses on “furnished apartments” which is the USA equivalent of “serviced apartments,” which tends to be more in use by British and European citizens coming to the United States and looking for a furnished short-term apartment. Here is background on this release. Sunny San Diego, California, can be considered a top destination for vacationers including persons from overseas. Warm weather and sparkling beaches could entice visitors to stay longer than a week. Europeans may have up to a month to enjoy a holiday away from work and home. More than a week in a normal hotel could be hard on a family budget. Long-term stay apartments might be a better choice. To find a top San Diego serviced apartment for a long-term visit, it may require that one think creatively, or as Americans like to say, “out of the box.” If serviced apartments near the San Diego coastline have been booked up, searching nearby towns and cities might be a smart choice. 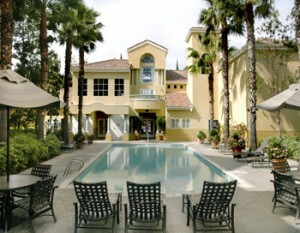 For this reason, Key Housing has announced a revision to the San Diego serviced apartment page. The newly revised page explains that planning a long-term vacation or corporate trip to Southern California may require creative solutions. Scheduling a top furnished apartment for a San Diego holiday could mean booking a spot outside city boundaries. The Valentia Apartments, the Key Housing “featured” listing for March, 2018, for example, is an archetypical example of a top serviced apartment complex near San Diego. Full modern kitchens and several bedrooms could accommodate European families on holiday. A short drive to popular attractions, including Legoland and the San Diego Zoo could become part of the plan. Thinking outside the boundaries to locate a top San Diego serviced apartment can help fulfill a dream vacation; working with a top service to locate hard-to-find apartments is an even better choice. This entry was posted in Press Releases and tagged San Diego Corporate Apartments, San Diego Rentals, San Diego Serviced Apartment on February 25, 2018 by Lee McDonald.